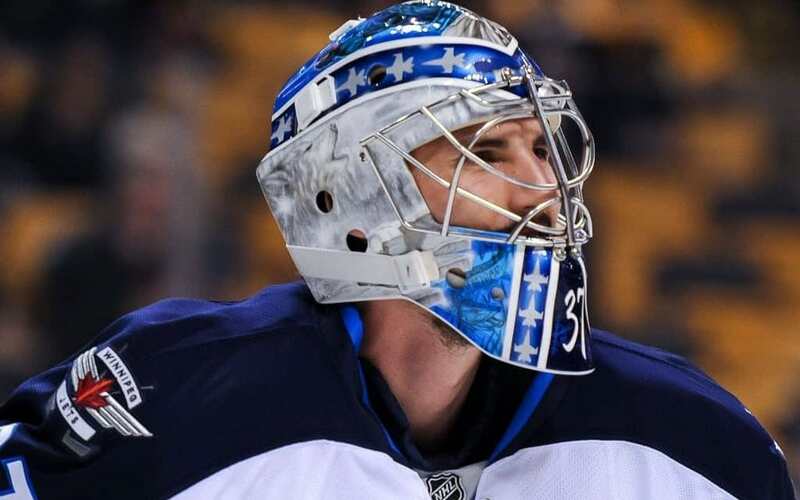 It’s not uncommon for an athlete to thank his agent after signing a lucrative new contract, and Connor Hellebuyck was no exception after agreeing on a six-year, $37-million deal with the Winnipeg Jets. Hellebuyck’s praise for agent Ray Petkau went well beyond his work negotiating a new contract for a restricted free agent coming off a breakthrough season as a Vezina Trophy Finalist, however. Hellebuyck pointed to Petkau, and the team introduced to him by Alpha Hockey Inc. after switching agents last summer, as a key to not only his impressive turnaround last season, but also as a reason the Jets and their fans can trust it won’t be a one-off for the 25-year-old goaltender. As Hellebuyck said after signing his new contract, that learning and support doesn’t end when the NET360 camp is over. The in-season support from Alpha Hockey can include Francilia visiting several times to cook and freeze months worth of organic meals, shared insights from coaches, or access to Bos. For Hellebuyck, the biggest new tools over the past year came from Francilia. ~Look for more specifics and exclusive off-ice training tips and videos from Francilia, as well as on-ice drills featuring Hellebuyck, at an all-new InGoal, launching in August. Good insight. How about an article about the actual fallback methods when things go array? Or how about an article on his prep for the season? Behind the scenes stuff is what’s missing from the big outlets. Coming! Stay tuned for August….video from camp, interviews etc.